Held in Houston on the 2nd Saturday of each month, directly after the VSOP "Vegan 2nd Saturdays". Meet and socialize with other vegans at Whole Foods Market on the outdoor patio! Purchase your own vegan drinks from inside. Fresh juices, coffee and vegan hot cocoa are also available. The W.F.M. 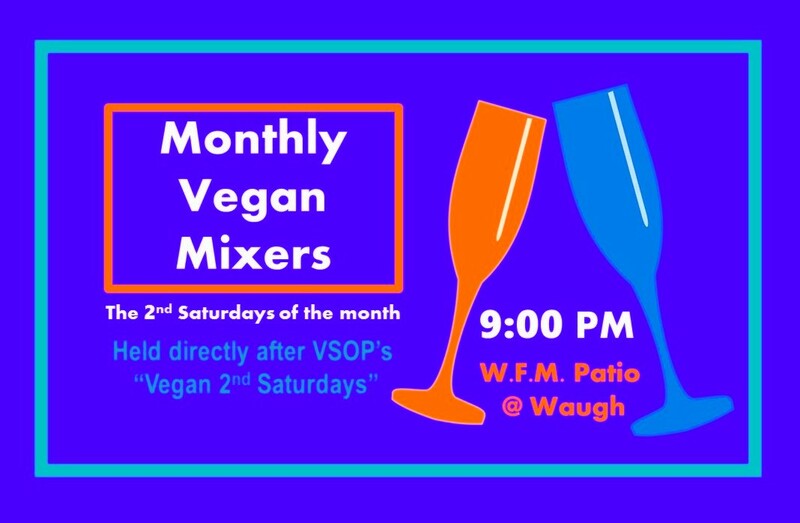 on Waugh is less than a mile from the VSOP "Vegan 2nd Saturdays" events.